Montreal based tech death group FIRST FRAGMENT will continue supporting their acclaimed debut full length Dasein with a European alongside genre legends Obscura. The "Diluvium Europa" tour will begin on February 1st in Munich, Germany and will cover much of mainland Europe and the UK, ending in Salzburg, Austria on February 23rd. 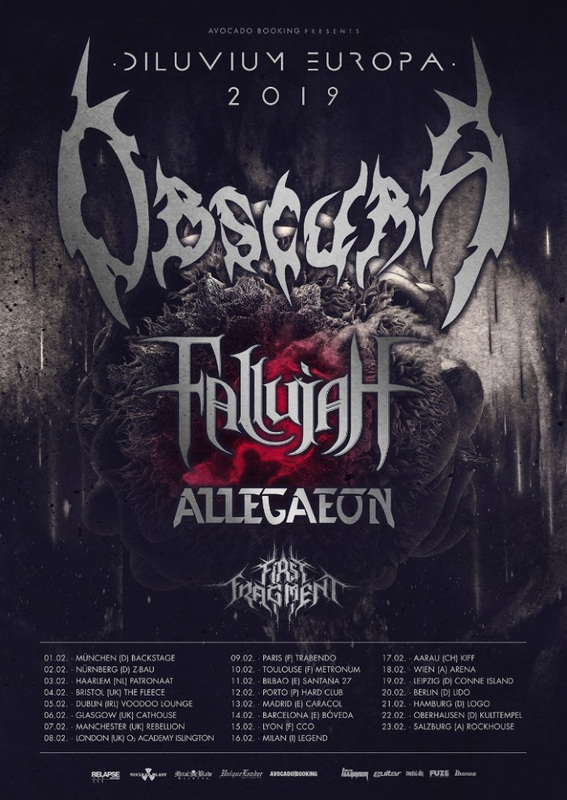 Additional support on the tour will come from Fallujah and Allegaeon.